Huawei is gearing up to unveil the first Android phones with a processor built on the newest 7nm node - the Mate 20 and its Pro version. The Kirin 980 chipset was already tested on Geekbench, revealing record scores for an Android handset, but giving way to Apple's own 7nm silicon, the new A12 Bionic. When it comes to the system-wide AnTuTu test, the Mate 20 shows similar performance - best on Android, and a tad lower than what, say, the iPhone XS Max gets. Let's not forget that the LYA-L29 model is likely not with a finished software and the scores might even out in the end. We'll be really curious to test what the iPhone XR scores, though, as it has the same A12 Bionic processor, but a much less resolute display. The Kirin 980 processor comes with its own neural processing unit for "AI" (what else) and we can't wait to put it to the test. We'll be at the Mate 20 and 30 Pro announcement event next week in London, and we'll try to run some benchies for your viewing pleasure. wow... the new cpu generation beat the old cpu's who would have thought. Around 9% more. From 10nm to 7 nm technology. Ha! That's not such a great gain. Looking at improved scores of SD855, that one may easily cross 350k in final version and isn't far away from launch either. Anyways, i no longer trust any benchmark results for Kirins. There is a huge chance they have been faked. In another news, there will be no headphone jack on Mate 20 Pro. 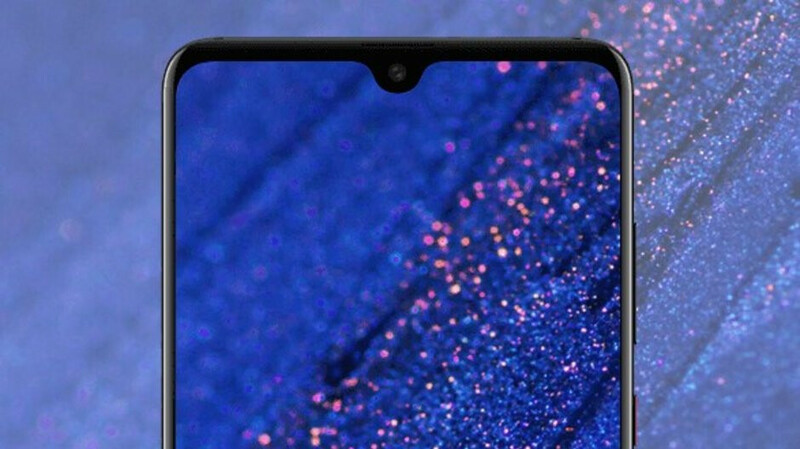 It will also have that big ugly notch. While Mate 20 will have simpler waterdrop notch and a headphone jack but will instead come with disappointing LCD screen. When will Huawei ever make a no compromise device? Note 9, LG V40 etc already look like better deals. And hopefully S10 series will only up the game. U forgot about sony xz3,xz2 premium and htc u12+ those are also better deal without a notch. Yeah, but they have no IR-blaster and no audio-jack. If those brands start to implement useful features again instead of creating lame run-of-the-mill devices then we can (finally) look at them. No matter what Huawei brings, you will never be satisfied. Because you are legendary hater of Huawei devices. Note 9 is a great device . But V40 is a great deal !!!! It comes with mediocre camera . And LG software is extremely quirky and full of bugs . You can definitely Hate and criticize Huawei , but they are providing one of the best devices in current time . Thats why their popularity has peaked. Their popularity has peaked because of subsidized prices and too strong marketing, nothing else! What has Huawei offered till date? Ugly notches, substantial ugly chins, substandard screens, poor AQ via 3.5 mm jack, poor quality display glass, substandard SoCs(Kirin 970 was anyday inferior, it became a joke after whatever performance it seemed to offer was also found to be fake), fake GPU Turbo claims, fake RAM/Internal memory claims, substandard cameras(only saving grace is P20 Pro, only in low-light), poor software updates, bloated UI. I can go on and on and the list would never end. So please, show you fanboyism somewhere else. At least LG V40 has now a QHD Amoled, excellent Quad Dac, Triple cameras with zoom and wide angle lens, headphone jack, Military standard protection, IP68 certified, wireless charging. And Note 9 is an Absolute Beast. A no compromise mammoth. You are one of those blind haters who only see the negative of wat you hate . LG is sales are down because of poor quality Product. Badly implemented screen. Awful zoom of tele lens . Huawei has developed products features that people care about rather then something that one looks at . Camers has impressed majority of experts . GPU turbo is proved by many Tests. Notchs : best selling phones this years comes with notch . SoC are self developed rather then depending on others . A reason they can deliver the product on time , not have to wait for supply . And you are so blind that can only see the problems different devices launched different time . Gathering all at one place as all of them came togather. Came out of this blindness and start appreciate someones success. I am no hater no fanboy . I appreciated what it deserved. You sure are a Huawei fan. Such a poor argument. First of all, you conceded defeat by not even talking about all the faults i mentioned about Huawei. Ha! And second of all, LG sales are down because of poor marketing. They have far better quality than your crappy huawei. Remember, Huawei can't even use latest Gorilla Glass in their phones. Such cheapos. GPU Turbo proved? Where? Lol! Go read XDA analysis. GPU Turbo failed miserably. 10% better gaming and 30% more battery drain. That's your poor GPU Turbo. And notches don't look good on top dollar $900-$1000 top notch devices. Huawei is such a cheap company that they copied front and back design from iPhones. SoCs of Huawei are still crap, in house or not, how does that matter. Always lagging behind. And please, stop upvoting you own comment from 2 different accounts. Just look at your rage filled comments hahahaha... You are full of hate and rage... cool down.... Hate is very obvious in your comments..
like it...numbers and looks...battery life should be excellent. I am not fully sure about this result. Huawei said performance will be 30 % better than the SD845 . So, it should be around 340K . It can be a factory unit with beta software. I think they said 30% better than Kirin 970. I'll wait for the score of the finalized device that is not running the beta. I'll wait for real life usage as recent flagships proved benchmarks mean nothing in terms of actual performance. My Antutu on my XS Max shows 354,784. At first I was getting 266,000. I believe at the time my phone was updating for the first few days. I believe the best time to benchmark is a few days after all of the updates. I have at least over 800+ apps that needed to be updated and downloaded on the phone. So give it some time, I believe 20 Pro scores will improve. why on earth do you have 800 apps installed? Because I have 512GB of space and my kids love to download games. I use roughly 50-60 apps on daily basis. I use most of space for photos and videos. 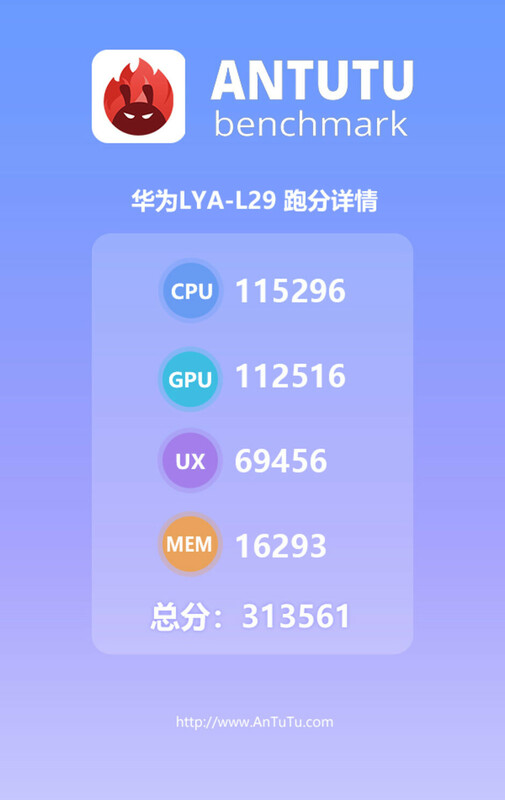 The Kirin 980 should be able to top 350,000 in Antutu, maybe that'll be in "Performance mode". The Exynos 9820 and SD855 should both score in that general direction too. The Exynos 9820 reportedly scores over 13,000 in geekbench mulitcore. LOL Two weeks ago Huawei was like: "We will crush A12!" Today "Ok, at least we will crush 845" After release: "C'mon, it is still better than 835"